The sound of crinkling leaves, the shorter days, and all things pumpkin are reminders that fall is officially here! Now is a great time to incorporate the fall themed gross motor and fine motor activities into your planning for your classroom, home or therapy sessions. This list of fall themed motor planning activities are perfect for this time of year. 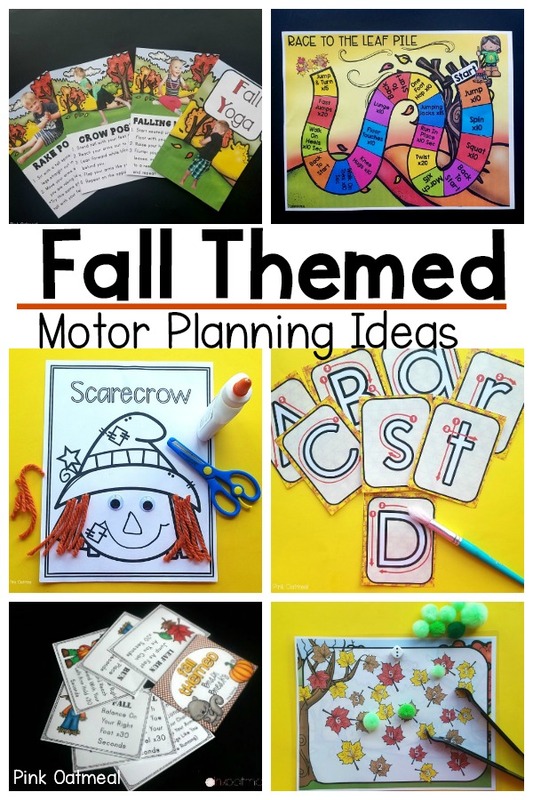 Along with these fall themed activities you need to check out Apple Themed Motor Planning Ideas as these are perfect for this time of the year as well! Start off your fall activities by getting little bodies wiggling and ready to work with autumn themed brain break ideas. 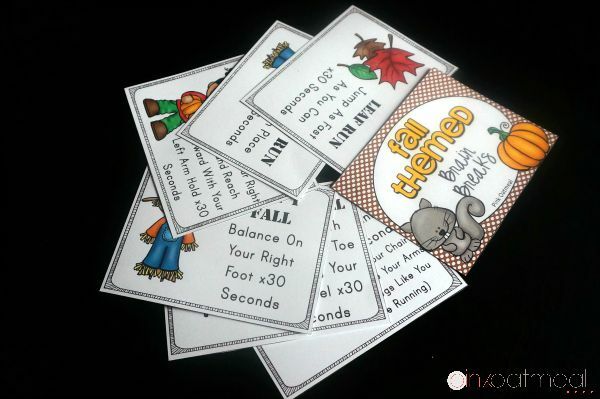 Read about all the different ideas and get your own set of autumn themed brain break cards! This fall themed activity focuses on pre-writing strokes which need to be developed before kids actually start writing letters. I love pre-writing strips because they can be used over and over again and wiped off with a paper towel. 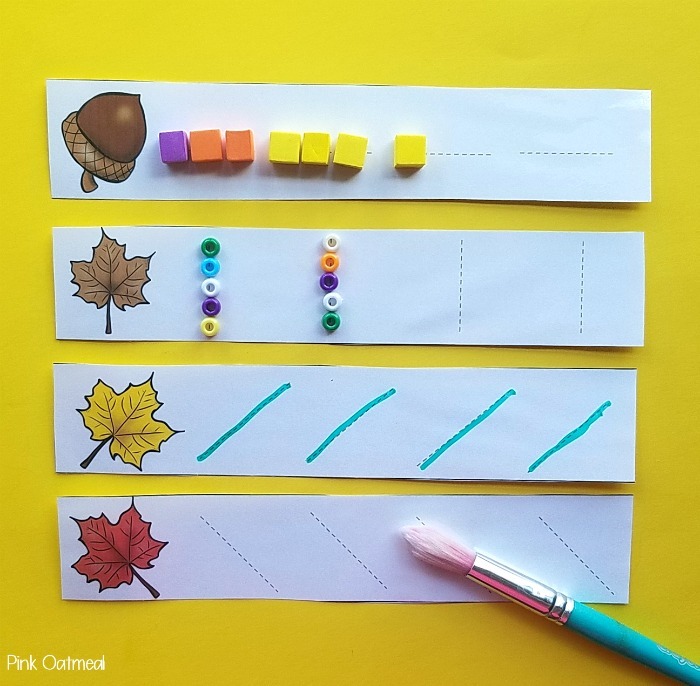 The pre-writing strips can be found in the Fall Themed Fine Motor Activities Pack. Make sure that your scarecrow is keeping unwanted visitors out of your garden. 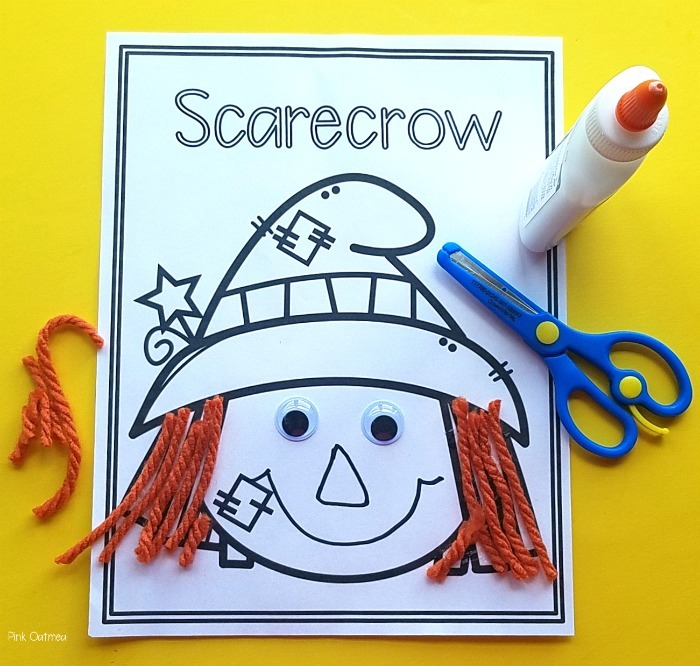 Give your scarecrow the proper haircut with this fun fall themed cutting activity. This activity can be found in the Fall Themed Fine Motor pack. With the fall comes acorns. 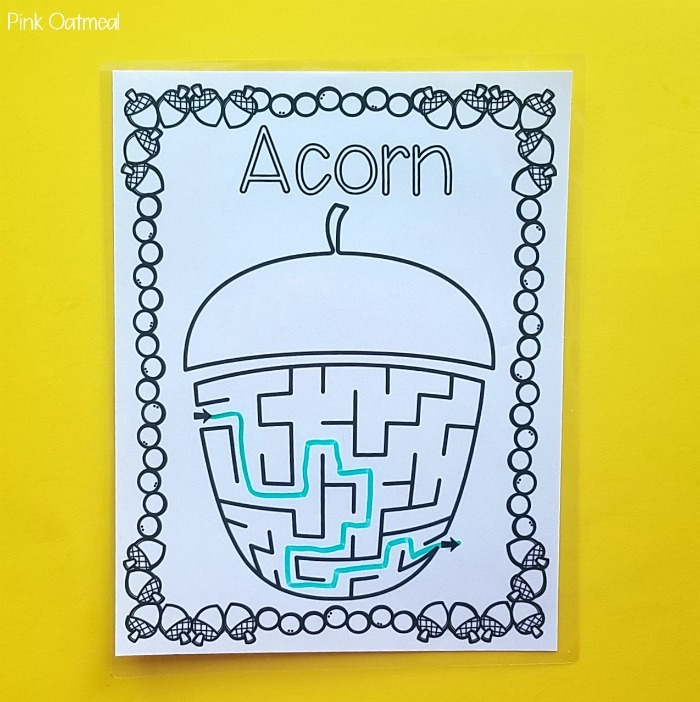 Work on pencil control skills while navigating through Acorn Mazes. This activity can be found in the Fall Themed Fine Motor pack. Work on gross motor skills with these fun fall themed yoga pose ideas. You can get a set of Fall Yoga Cards to use yourself! 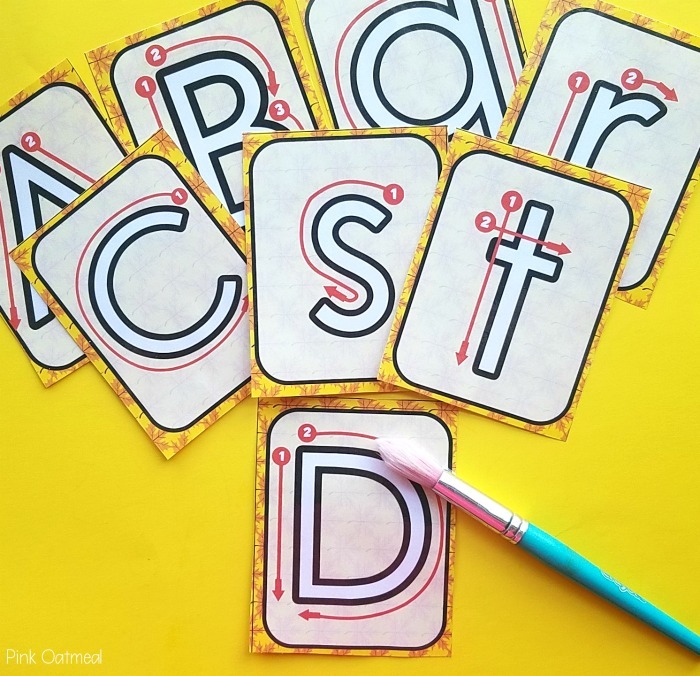 If you kids have mastered pre-writing strokes and are ready for letter formations check out these cards that are perfect for writing stations with a fall theme! Find this in the Fall Themed Fine Motor Pack! Now head outside and get moving on a scavenger hunt. This fall themed hunt is available to members in the members only library. Work on counting skills with fine motor skills with these fall themed clip cards. These are part of the Fall Theme Fine Motor Pack. 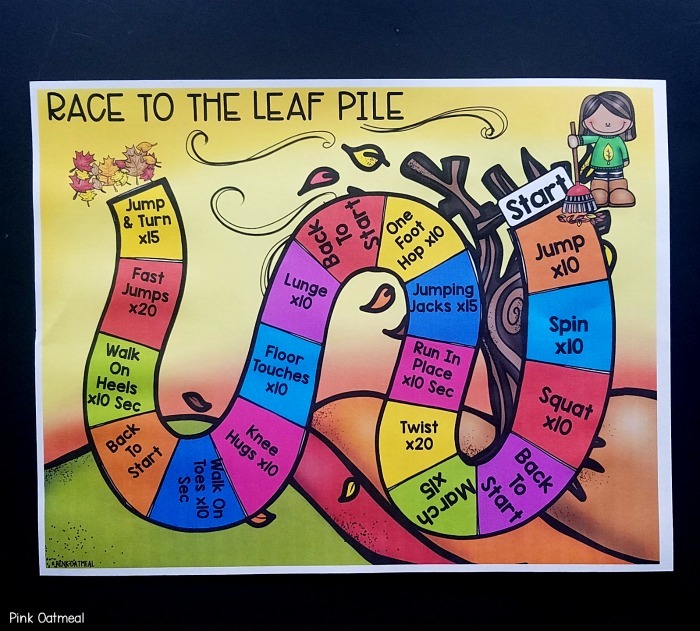 Try this fun Interactive Fall themed brain break game. This game is available FREE to you in the freebie library. You must have PowerPoint to play! 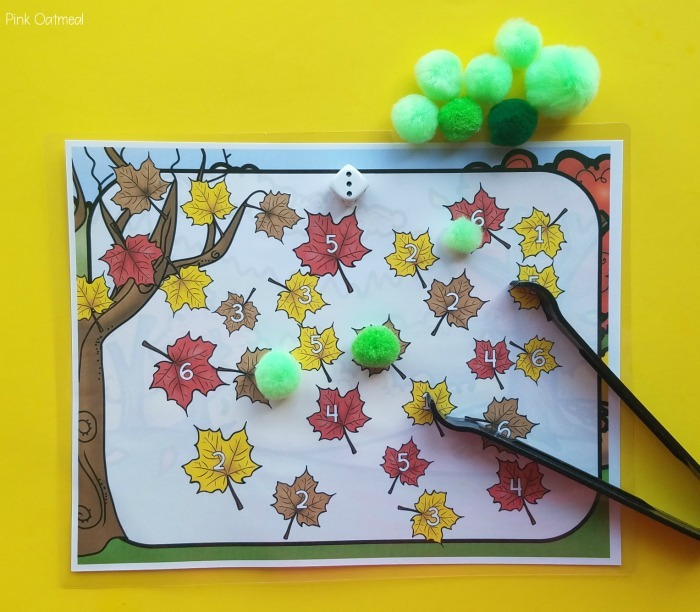 Fine motor skills and number recognition skills can be practiced with this roll and cover pom transfer game with a fall theme. 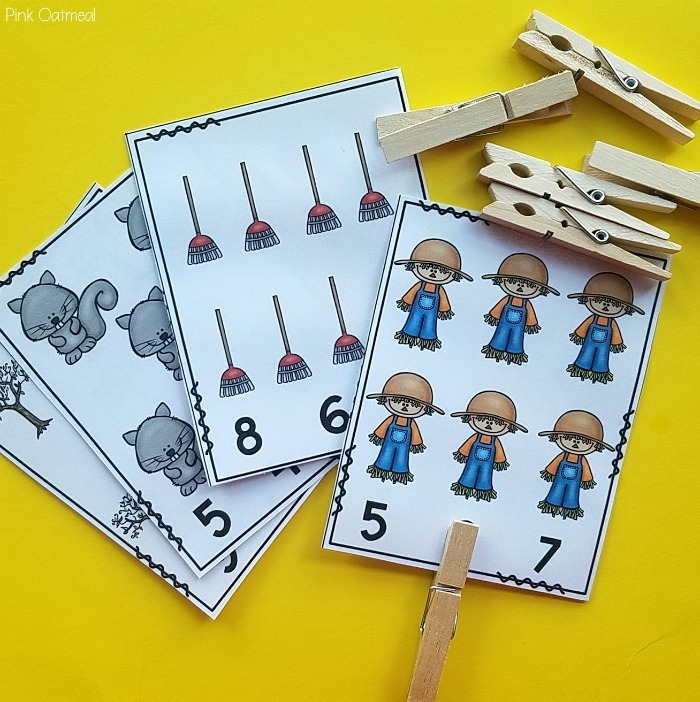 Grab this game in the Fall Fine Motor Activities Pack. 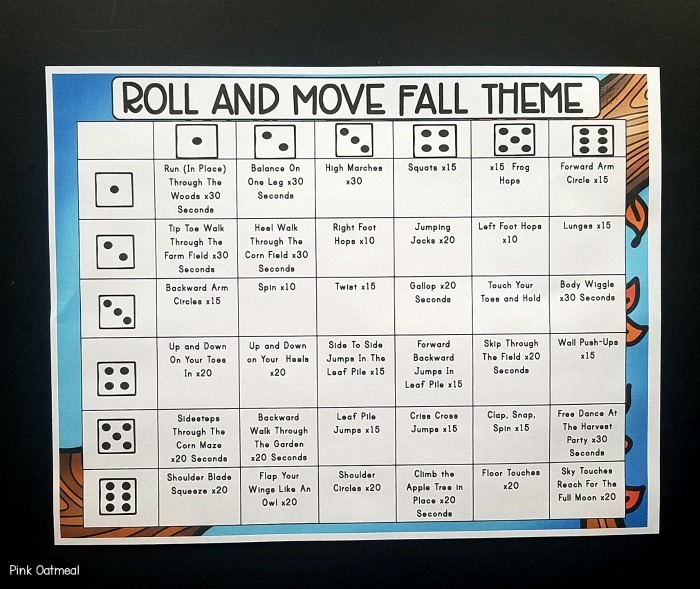 Keep the dice out to play these fun fall themed gross motor dice games. Roll and move your body! These are available in the Fall Movement Games pack! 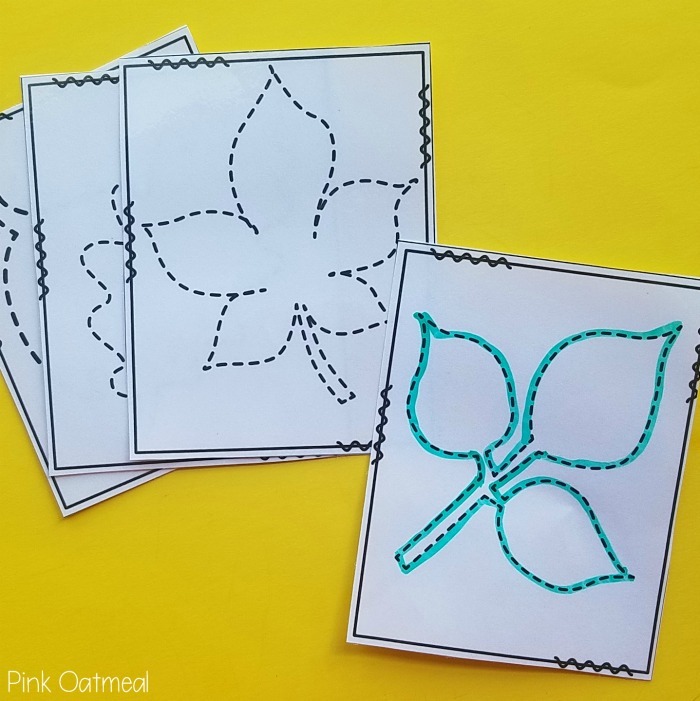 Finally work on those tracing skills this fall with these fun fall themed leaves tracing patterns! 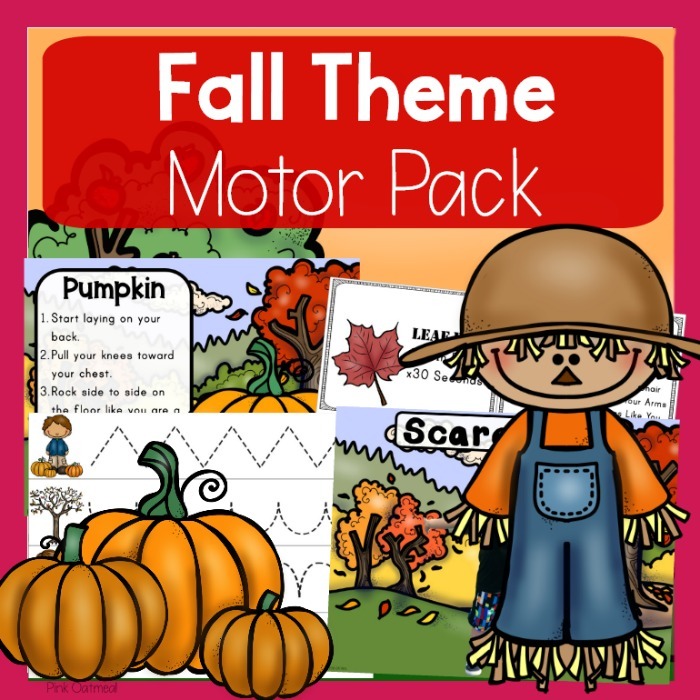 Grab these in the Fall Theme Fine Motor Pack! 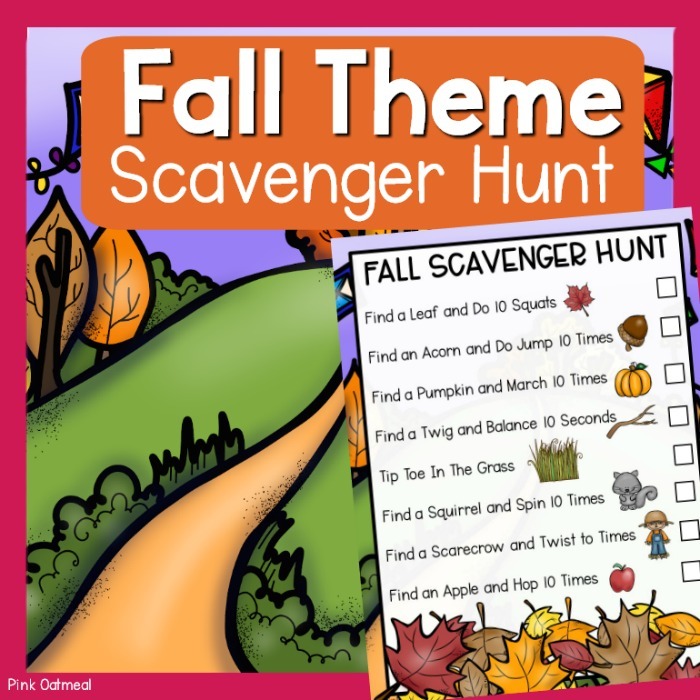 Get fall themed yoga, brain breaks, and fine motor activities all in one pack. Save when you buy these activities in this one great pack. Have all your fall motor planning done!